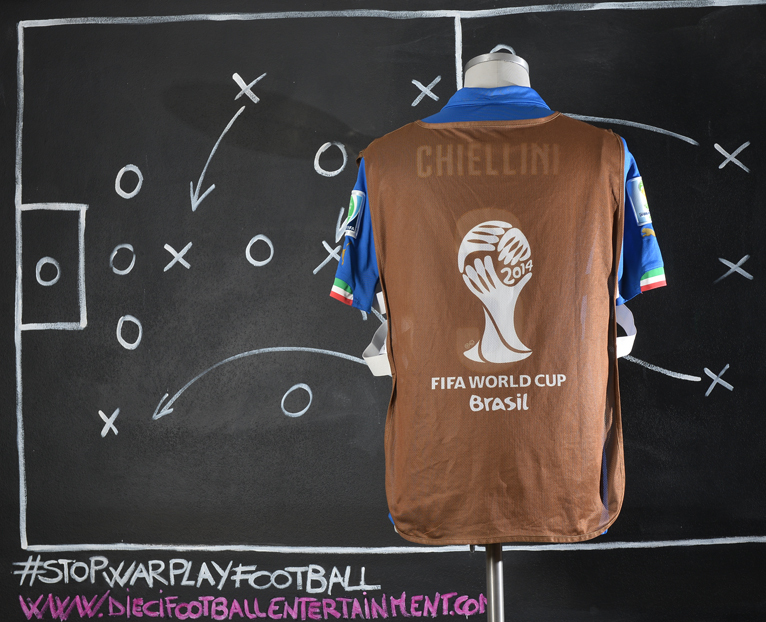 Under Cesare Prandelli, Chiellini was once again the starting centre back during Italy’s UEFA Euro 2012 qualifying campaign. Along with Juventus teammates Andrea Barzagli and Leonardo Bonucci, and also Daniele De Rossi, he started in defence for Italy in the UEFA Euro 2012 tournament, after recovering from an injury he had encountered during the final Serie A game of the season. The 2012 UEFA European Championship, commonly referred to as UEFA Euro 2012 or simply Euro 2012, was the 14th European Championship for men’s national football teams organised by UEFA. The final tournament, held between 8 June and 1 July 2012, was co-hosted for the first time by Poland and Ukraine, and was won by Spain, who beat Italy 4–0 in the final at the NSC Olimpiyskiy in Kiev, Ukraine.Poland and Ukraine’s bid was chosen by UEFA’s Executive Committee on 18 April 2007. The two host teams qualified automatically while the remaining 14 finalists were decided through a qualifying competition, featuring 51 teams, from August 2010 to November 2011. This was the last European Championship to employ the 16-team finals format in use since 1996; from Euro 2016 onward, it was expanded to 24 finalists. Euro 2012 was played at eight venues, four in each host country. Five new stadiums were built for the tournament, and the hosts invested heavily in improving infrastructure such as railways and roads at UEFA’s request. Euro 2012 set attendance records for the 16-team format, for the highest aggregate attendance (1,440,896) and average per game (46,481). Spain became the first team to win two consecutive European Championships, and also three straight major tournaments (Euro 2008, 2010 World Cup and Euro 2012). Spain had already gained entry to the 2013 Confederations Cup by winning the 2010 World Cup, so runners-up Italy qualified instead. As at Euro 2008 in Austria and Switzerland, both 2012 host nations were eliminated in the group stage. The UEFA Euro 2012 Final was a football match that took place on 1 July 2012 at the Olympic Stadium in Kiev, Ukraine, to determine the winner of UEFA Euro 2012. Spain, who defeated Germany 1–0 to win Euro 2008, successfully defended their title with a 4–0 win over Italy, becoming the first team to win two consecutive European Championships, and the first team to win three consecutive major tournaments – Euro 2008, the 2010 World Cup and Euro 2012. 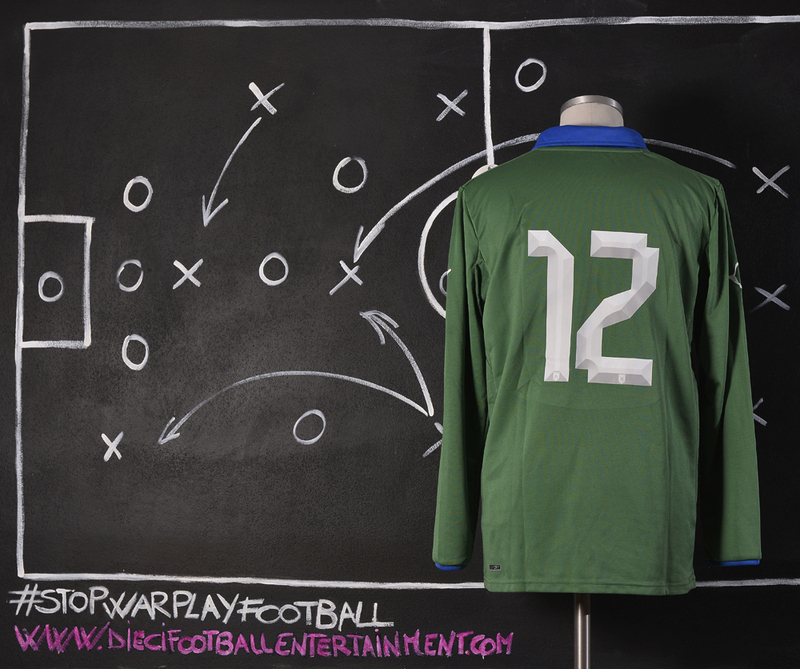 It was the greatest margin of victory in the history of the European Championship finals, and the fourth time that teams who played each other in the group stage played each other again in the final (1988, 1996 and 2004). Usually, the winner of the European Championship gains entry to the Confederations Cup, which was played in Brazil in 2013. 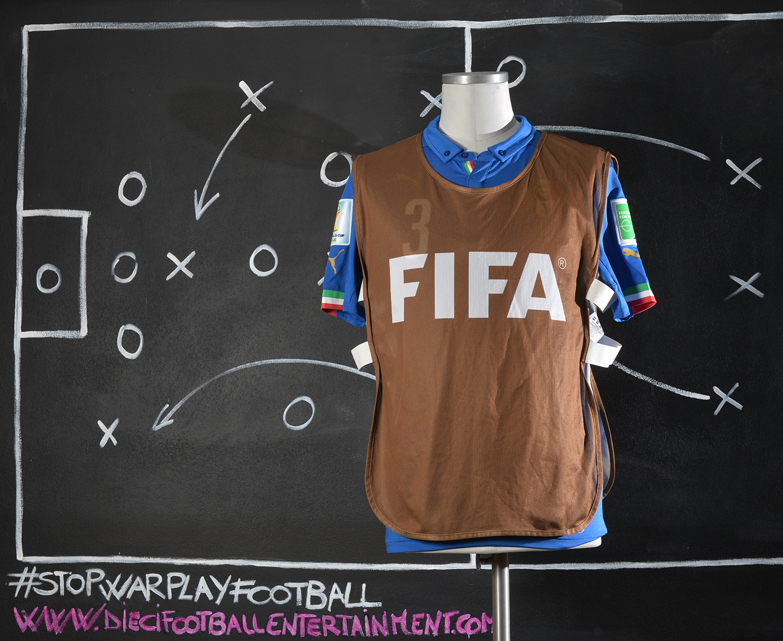 However, since Spain already qualified as the 2010 World Cup champions, Italy qualified automatically as the UEFA representative, with their win in the semi-final against Germany, despite losing in the final to Spain. Despite accusations of playing negative, defensive football, Spain took control early in the game, as a characteristically long spell of possession ended with a Xavi shot that went just over. They took the lead in the 14th minute, though, when Andrés Iniesta played a through-ball to Cesc Fàbregas, who drove past Giorgio Chiellini to the by-line before pulling back a cross for David Silva to head into the net from six yards. Chiellini was clearly struggling with a thigh injury he had picked up in the earlier rounds, and he was replaced by Federico Balzaretti after 20 minutes. 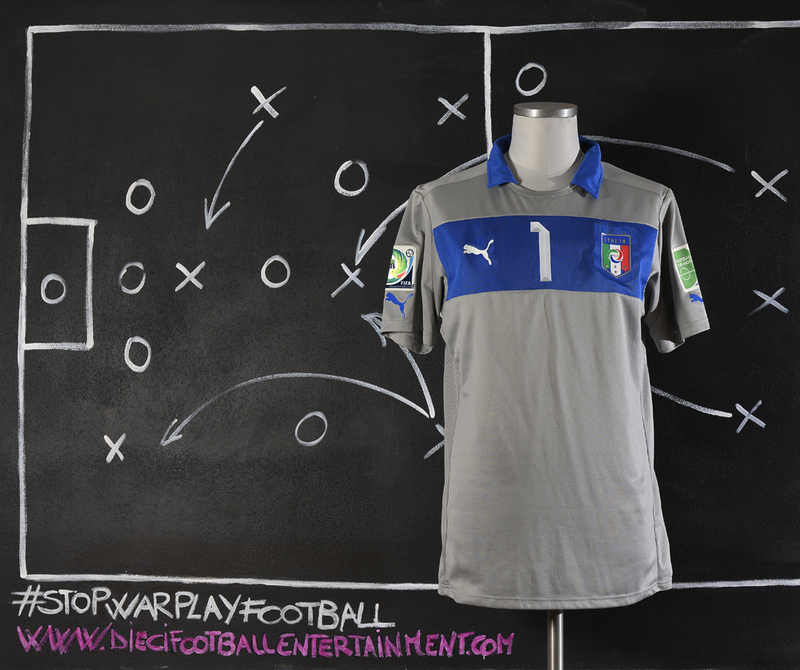 Italy responded with a couple of shots from Antonio Cassano that were saved by Spain goalkeeper Iker Casillas, but Spain doubled their lead before half-time, when Xavi picked out left-back Jordi Alba, who capped a long forward run with a precise finish past Gianluigi Buffon in the Italy goal. Antonio Di Natale came on for Cassano at half-time and twice went close to scoring, the second effort forcing a save from the onrushing Casillas. 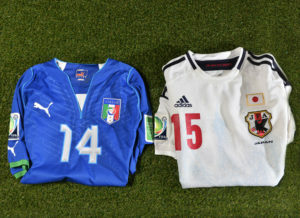 Italy’s final substitution saw Thiago Motta replace Riccardo Montolivo, but he soon suffered a hamstring injury; with all of their substitutes used, Italy had to play the last 30 minutes of the match a man down. Fernando Torres replaced Fàbregas with 15 minutes left to play, and scored in the 84th minute – assisted by Xavi – to become the first man to score in two European Championship finals. Torres then turned provider four minutes later, cutting the ball back with the outside of his boot for fellow substitute and Chelsea forward Juan Mata to sweep into an empty net for a final score of 4–0, the widest margin of victory in any European Championship final. 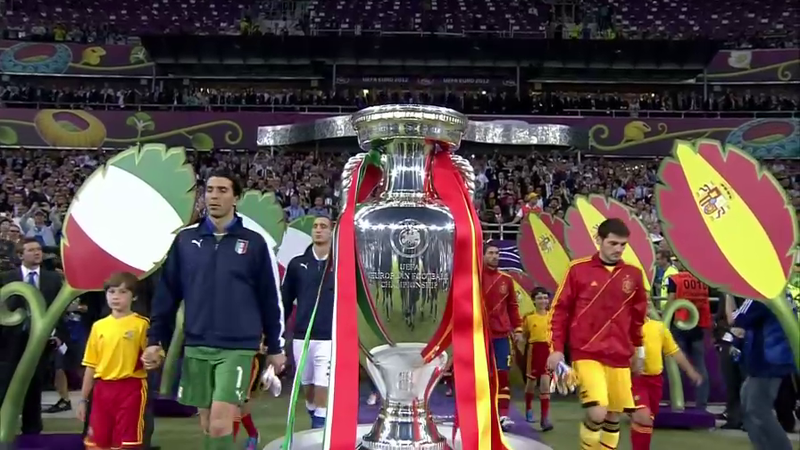 Spain became the first team to retain the European Championship title and also the first European team to win three major international competitions in a row. The 2012 UEFA European Championship, commonly referred to as UEFA Euro 2012 or simply Euro 2012, was the 14th European Championship for men’s national football teams organized by UEFA. The final tournament, held between 8 June and 1 July 2012, was co-hosted for the first time by Poland and Ukraine, and was won by Spain, who beat Italy 4–0 in the final at the NSC Olimpiyskiy in Kiev, Ukraine.Poland and Ukraine’s bid was chosen by UEFA’s Executive Committee on 18 April 2007. The two host teams qualified automatically while the remaining 14 finalists were decided through a qualifying competition, featuring 51 teams, from August 2010 to November 2011. This was the last European Championship to employ the 16-team finals format in use since 1996; from Euro 2016 onward, it was expanded to 24 finalists. Following Lippi’s departure after the 2010 World Cup, in Italy’s first match under new manager Cesare Prandelli, a friendly against the Ivory Coast, De Rossi was named captain, due to the injury of newly appointed captain Gianluigi Buffon, as well as the absence of acting captain Andrea Pirlo; Italy lost the match 1–0. 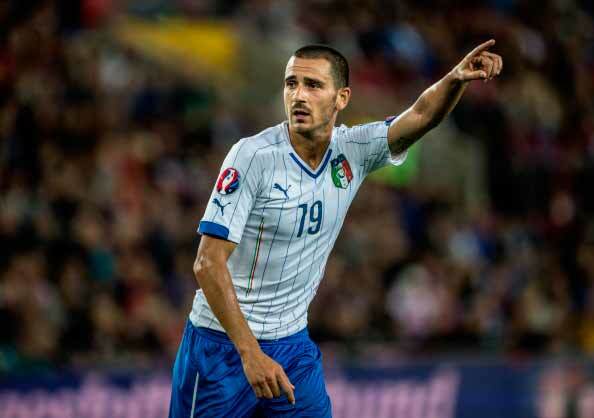 On 7 September, he scored his tenth goal for Italy in a 5–0 home win over the Faroe Islands in a UEFA Euro 2012 qualifying match; the goal allowed him to overtake Totti as Roma’s highest goalscorer with the national side. 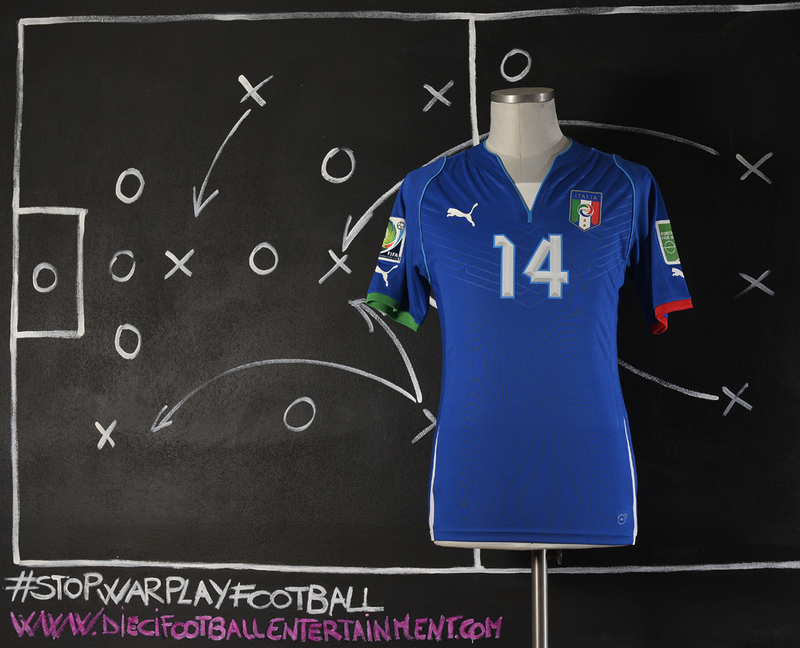 In May 2012, De Rossi was named to Prandelli’s final 23-man squad for Euro 2012. 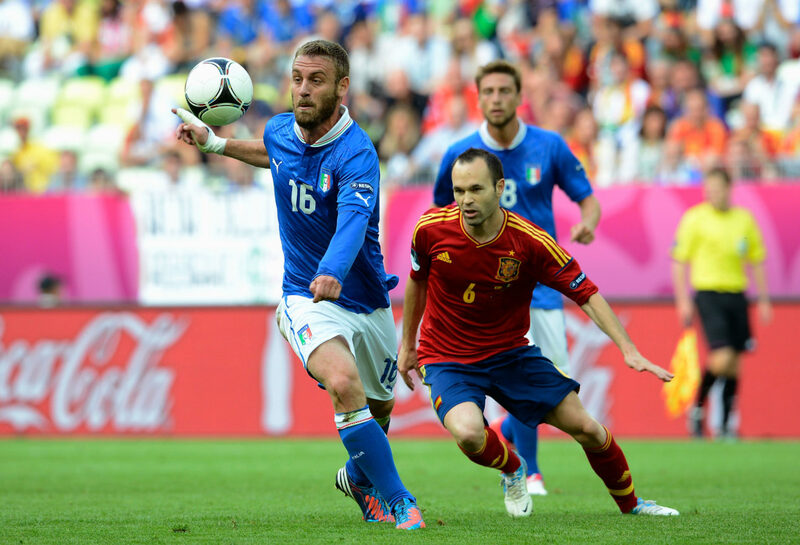 Due to Andrea Barzagli’s pre-tournament injury, however, De Rossi played as a central defender in a three-man defence in Prandelli’s 3–5–2 formation, alongside Giorgio Chiellini and Leonardo Bonucci, during Italy’s opening two group matches of the competition against Spain and Croatia, which both ended in 1–1 draws, receiving praise for his performances in the media; he was temporarily replaced by Thiago Motta and Riccardo Montolivo alongside Pirlo and Marchisio in Italy’s three-man midfield. He then played a more regular midfield-role against the Republic of Ireland in the last group match, partnering with Claudio Marchisio and Andrea Pirlo. 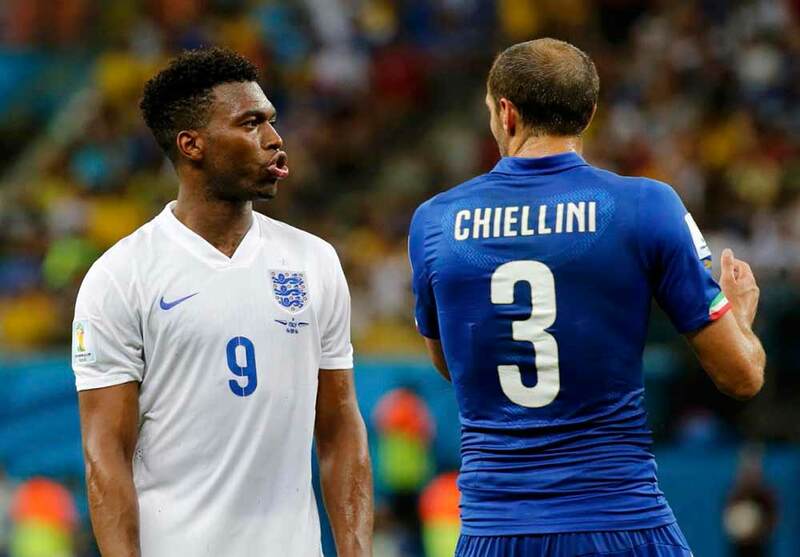 He continued to play as a midfielder against England in the quarter-final, in which Italy went through after a penalty shootout victory. 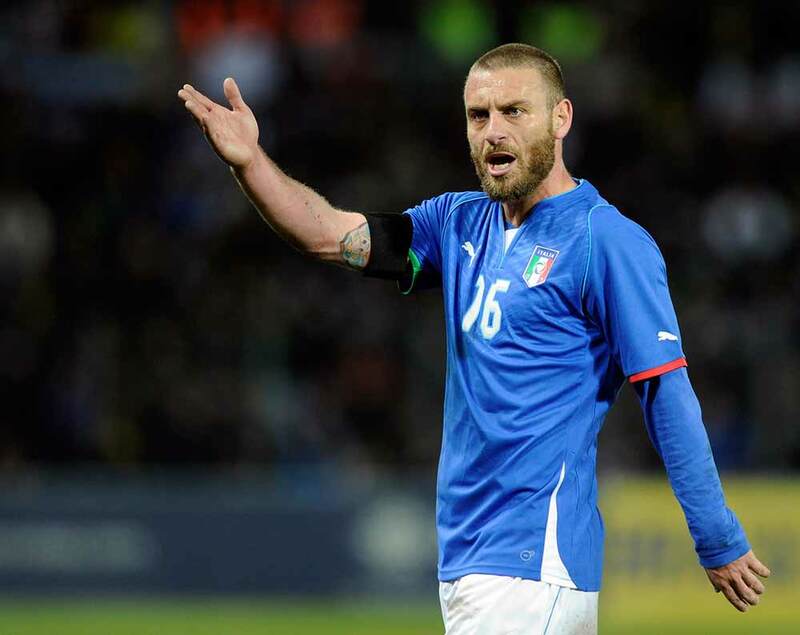 De Rossi also played the entire semi-final against Germany, as Italy won the match 2–1, and also played all 90 minutes in Italy’s 4–0 defeat to Spain in the final. De Rossi was included in the Team of the Tournament for his performances. 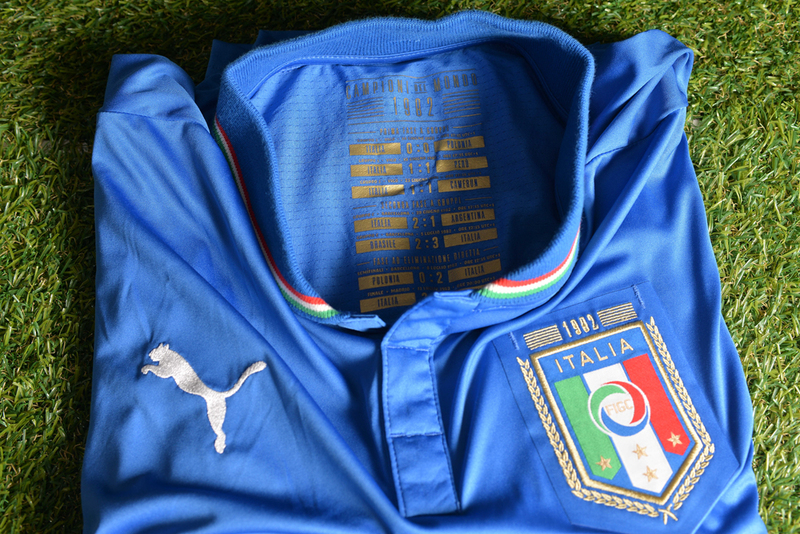 This shirt is a Limited Edition shirt made by team’s supplier Puma to celebrate the 30th anniversary since Italy World Cup in 1982. 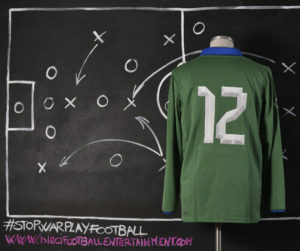 The style recall the same 1982 style and it has inside the neck all of the World Cup 1982 Italy Team’s games and results printed. It has been worn by the team only against England in a friendly game that took place in Zurich on Aug. 15th 2012. 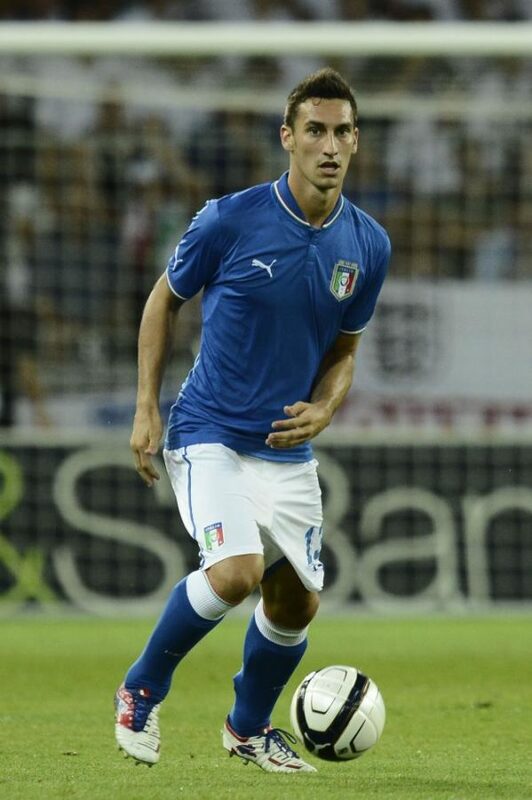 Astori played 4 games for Italy’s under-18 team, beginning in 2004. He did not receive any further call-up at higher levels of youth international football. Astori got his first call-up for the senior team under newly appointed coach Cesare Prandelli who named him in the squad for a friendly against Côte d’Ivoire, to be played on 10 August 2010, however, he was left as an unused substitute. 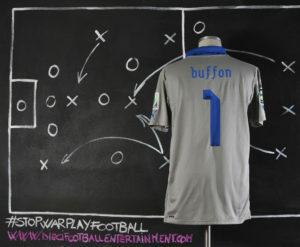 He made his full debut for Italy on 29 March 2011, in a 2–0 friendly won against Ukraine in Kiev. He came on as a 17th-minute substitute for the injured Georgio Chiellini but was sent off with 15 minutes remaining in the second half after receiving two yellow cards. 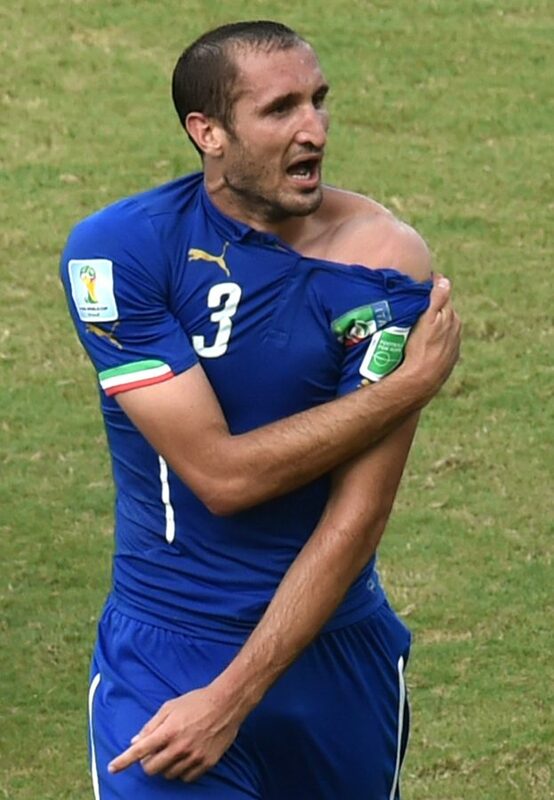 Astori was a member of the Italy squad that took part at the 2013 FIFA Confederations Cup, reaching the semi-finals, only to suffer a penalty shoot-out defeat to Spain; he scored a goal against Uruguay in the third place match, as Italy prevailed on penalties to win the bronze-medal, following a 2–2 draw after extra time. On 4 March 2018, Astori died from sudden cardiac arrest in his sleep whilst staying in a hotel in Udine prior to Fiorentina’s match against Udinese. A club statement said “Fiorentina are profoundly shaken and forced to announce that their captain Davide Astori has died.” All Serie A and Serie B matches on 4 March were postponed. After playing at various levels of youth international football for Italy, at under-19 and under-20 level, Abate made his debut with the Italian under-21 side in a friendly against Luxembourg, coming off the bench during the second half, on 12 December 2006. With the Olympic national team coached by Casiraghi, he won the 2008 Toulon Tournament, in which he played four games and scored a goal against the United States. He also took part in the 2008 Summer Olympics in Beijing. 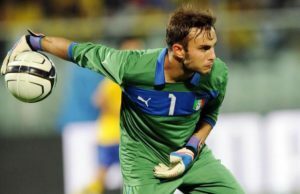 He then participated in the 2009 European U-21 Championship held in Sweden, making two appearances as Italy reached the semi-finals. 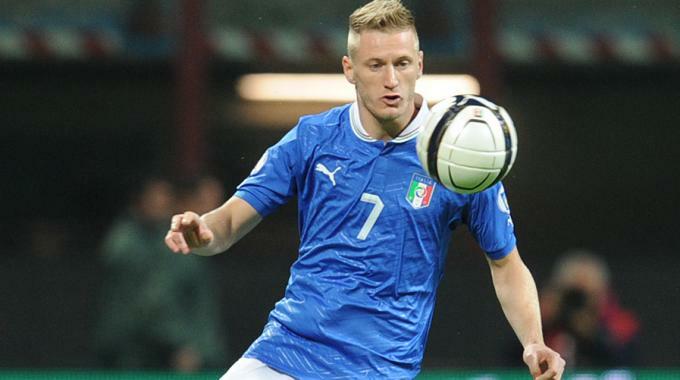 Abate made his senior international debut for Italy in November 2011, in a friendly match against Poland. 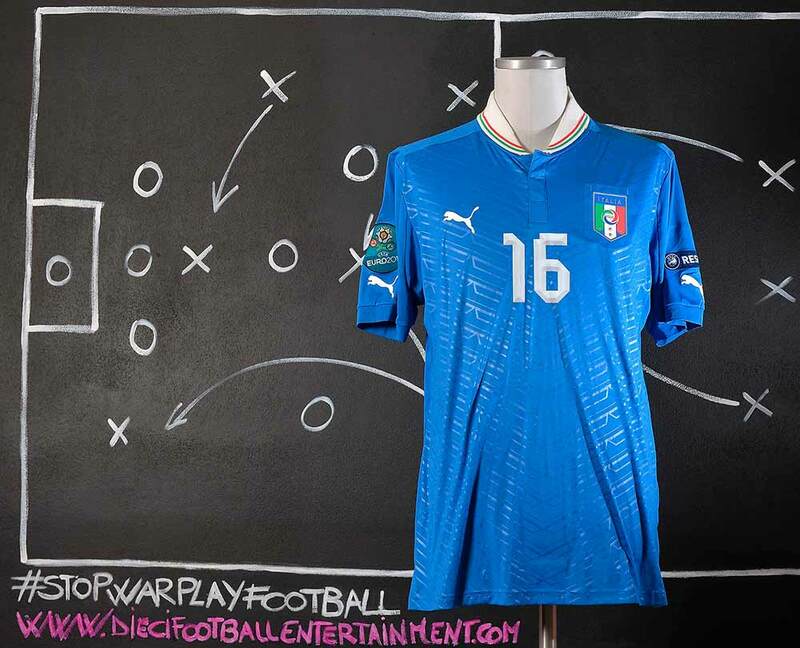 Abate was a member of the Italian squad that reached the UEFA Euro 2012 final. 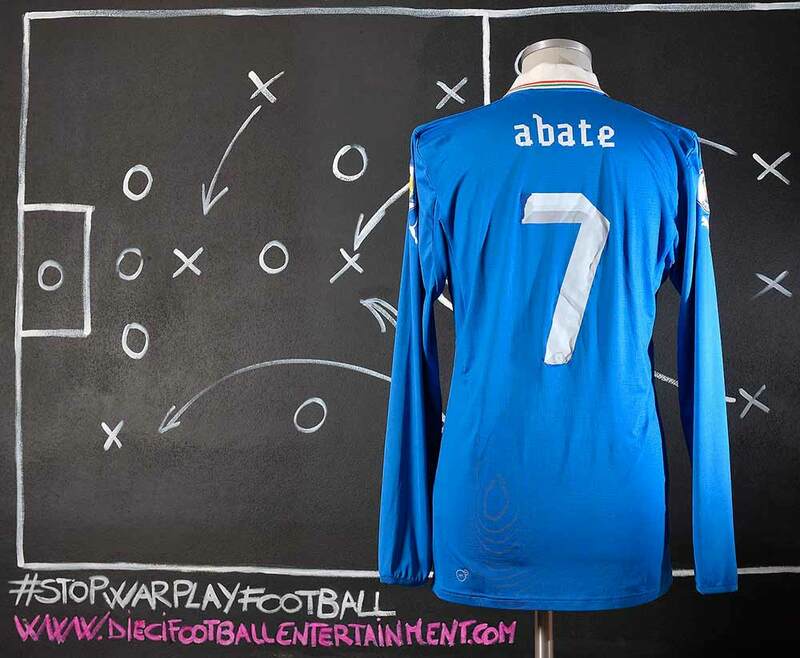 Abate also took part in the 2013 FIFA Confederations Cup for Italy, making three appearances in the group stage before suffering an injury which kept him out of the semi-finals, as Italy went on to win a bronze medal. Nearly two years after his debut, Abate scored his first international goal in a friendly match against Germany in November 2013, which ended in a 1–1 draw. 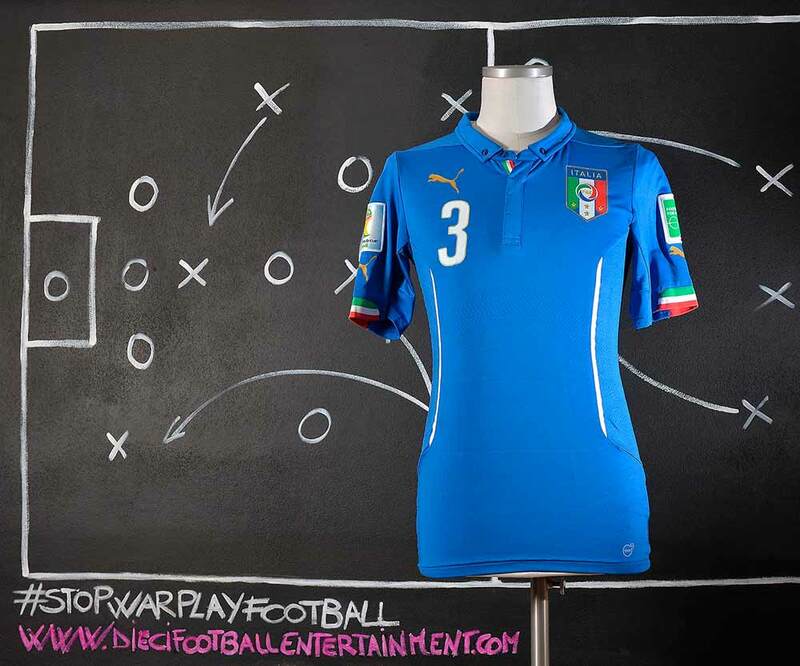 He was part of Cesare Prandelli’s 23-man Italy squad for the 2014 FIFA World Cup held in Brazil, making 1 appearance throughout the tournament, in Italy’s 1–0 defeat against Costa Rica in their second group match, as Italy were eliminated in the group stage. In October 2007, Montolivo was called by Roberto Donadoni to face Georgia in the UEFA Euro qualifiers. 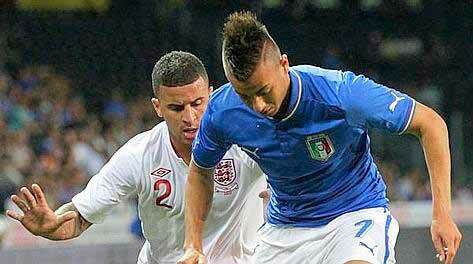 He did not play in that match but made his debut in a 2–1 win in a friendly against South Africa. In May 2008, Montolivo was included in Italy’s preliminary squad for UEFA Euro 2008 but he was omitted from the 23-man final squad. 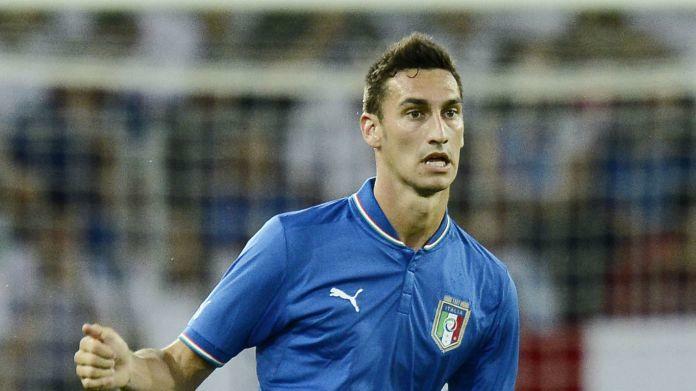 However, Donadoni said that Montolivo would be a key part of Italy’s midfield in the future. 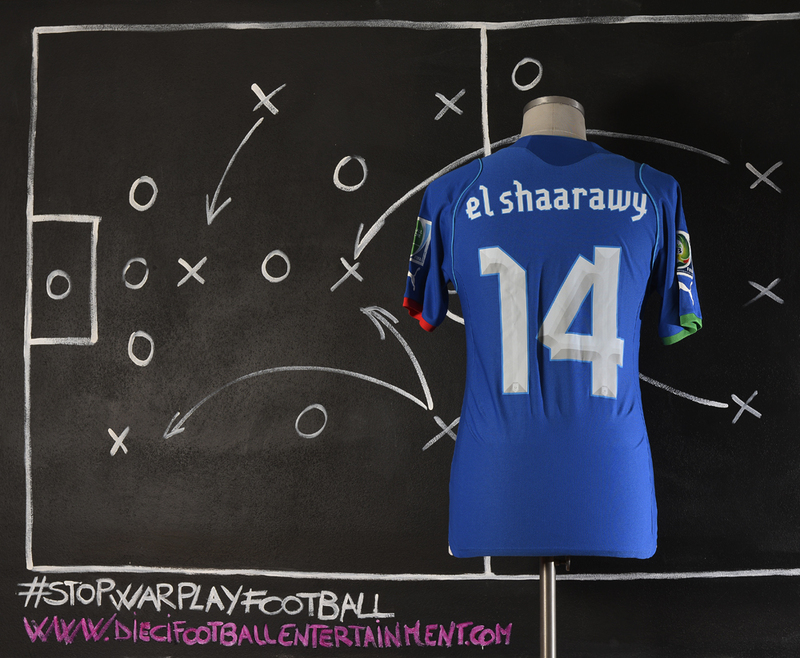 His second appearance came over a year after the first, against Bulgaria in the 2010 FIFA World Cup qualification. 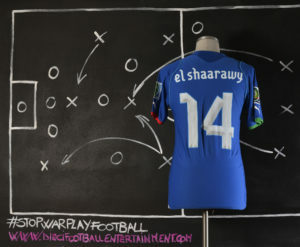 In June 2009, he was selected to play in the 2009 FIFA Confederations Cup. Italy were eliminated at the group stage. 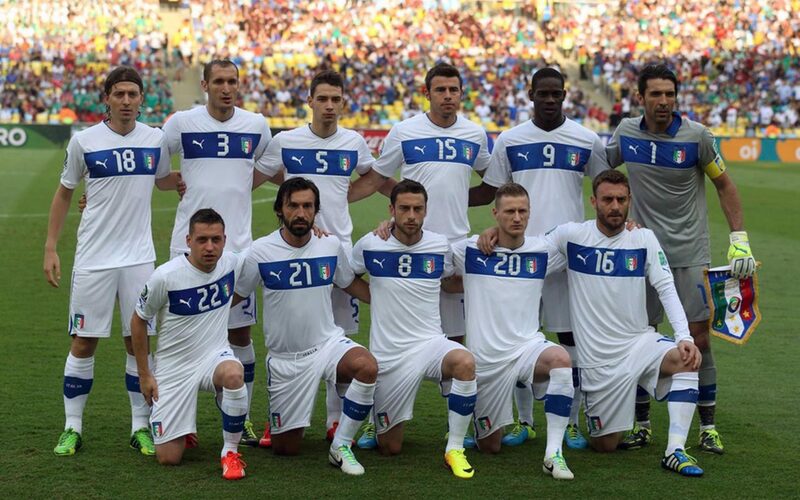 Montolivo started the match against Brazil but played the other two matches as a substitute. In 2010, Montolivo was named in Marcello Lippi’s squad for the 2010 FIFA World Cup. 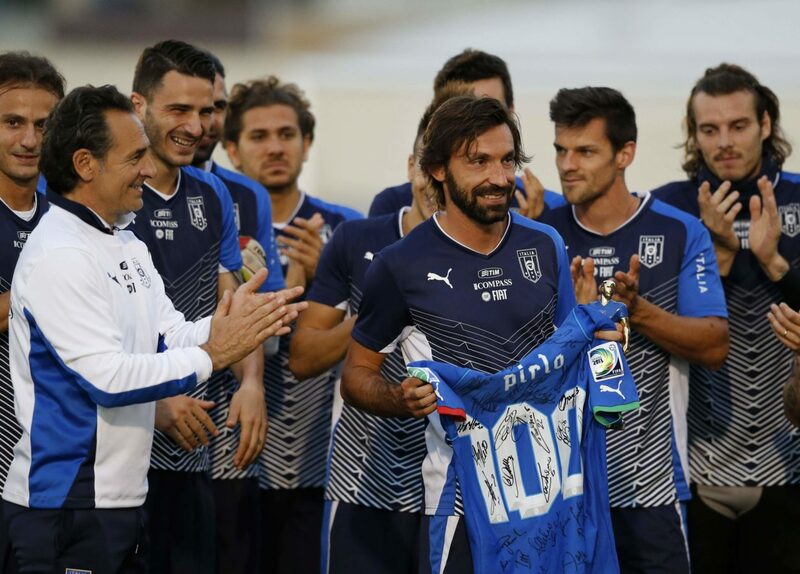 Due to the injury sustained by Andrea Pirlo, he started Italy’s first two group matches against Paraguay and New Zealand. 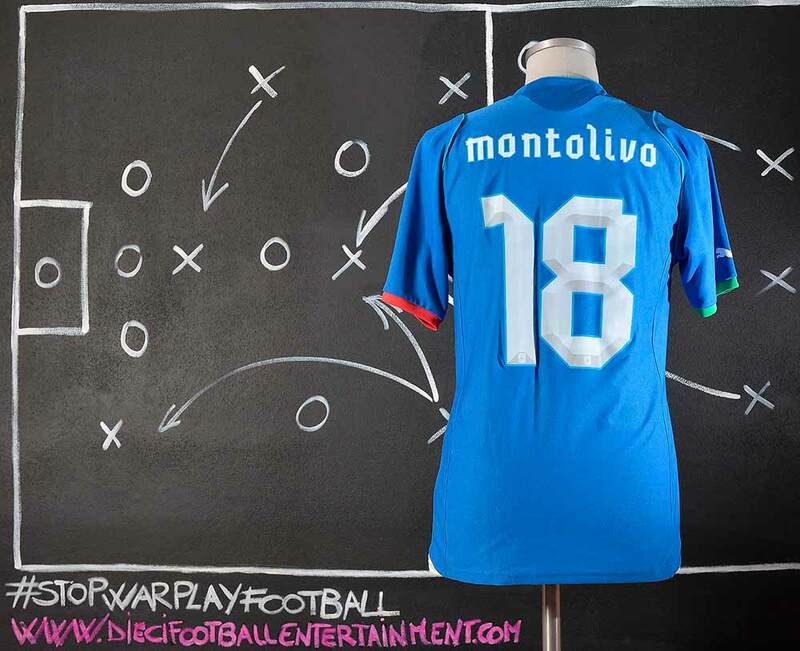 In the third match, Montolivo was again in the starting line-up but was replaced by Pirlo in the 56th minute, as the Azzurri lost 3–2 to Slovakia and were eliminated. 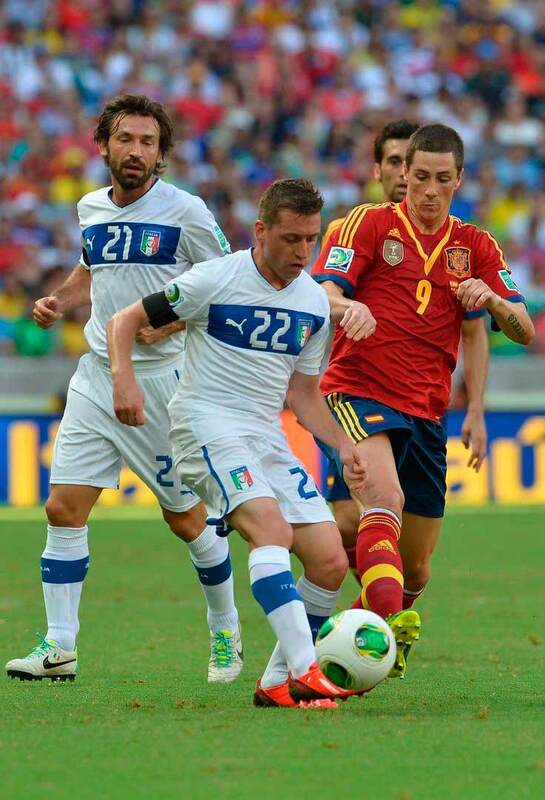 Montolivo scored his first senior international goal in a 2–1 friendly win against Spain in Bari. 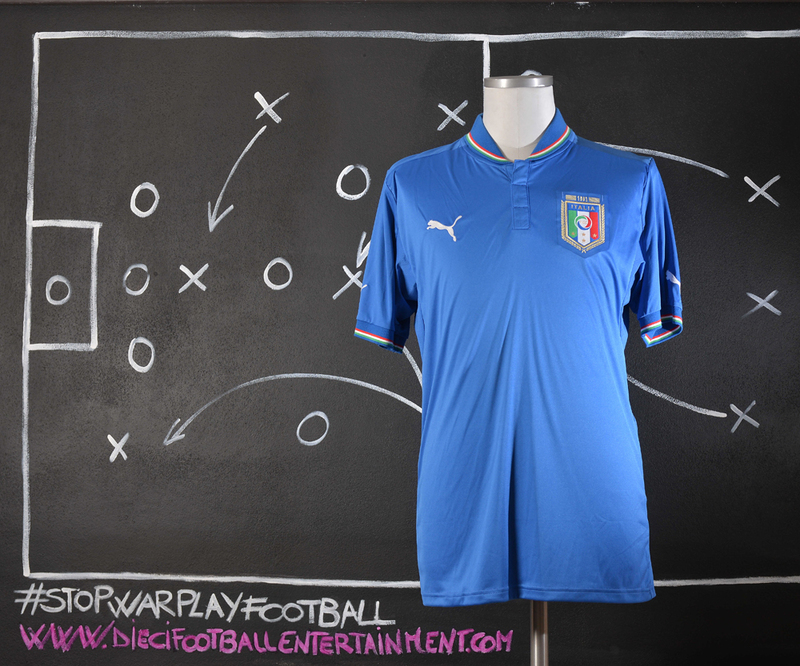 Montolivo made four appearances at the UEFA Euro 2012, playing as a false attacking midfielder in Prandelli’s 4–3–1–2 formation, as Italy progressed to the final, where they lost 4–0 to Spain. 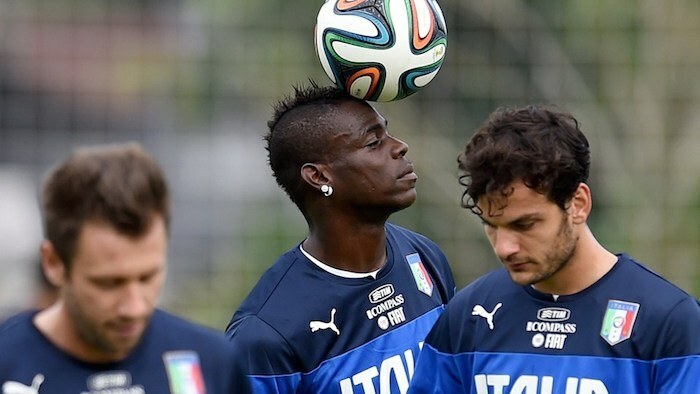 In the semi-final match against Germany, he assisted Mario Balotelli’s second goal of the match with a long ball, as the Italians advanced to the final after a 2–1 win. Montolivo was named in Italy’s 30-man preliminary squad for the 2014 FIFA World Cup under Cesare Prandelli, but was ruled out of the tournament after suffering a broken leg in a friendly match against the Republic of Ireland at Craven Cottage on 31 May. 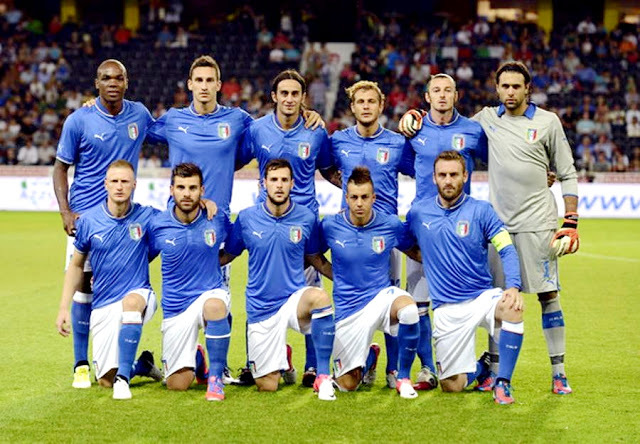 After initially being named to Antonio Conte’s 30-man provisional squad for UEFA Euro 2016, on 31 May 2016, Montolivo was omitted from the final 23-man squad due to injury. 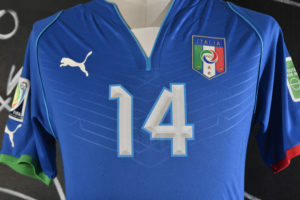 He returned to the national team under Conte’s successor, Giampiero Ventura, making a substitute appearance in a 3–1 friendly home defeat to France on 1 September. However, in Italy’s second 2018 World Cup Qualifying match on 6 October, a 1–1 home draw against Spain, he was forced off with yet another injury; it was later revealed that he suffered an anterior cruciate ligament injury to his left knee, which would rule him out for six months. 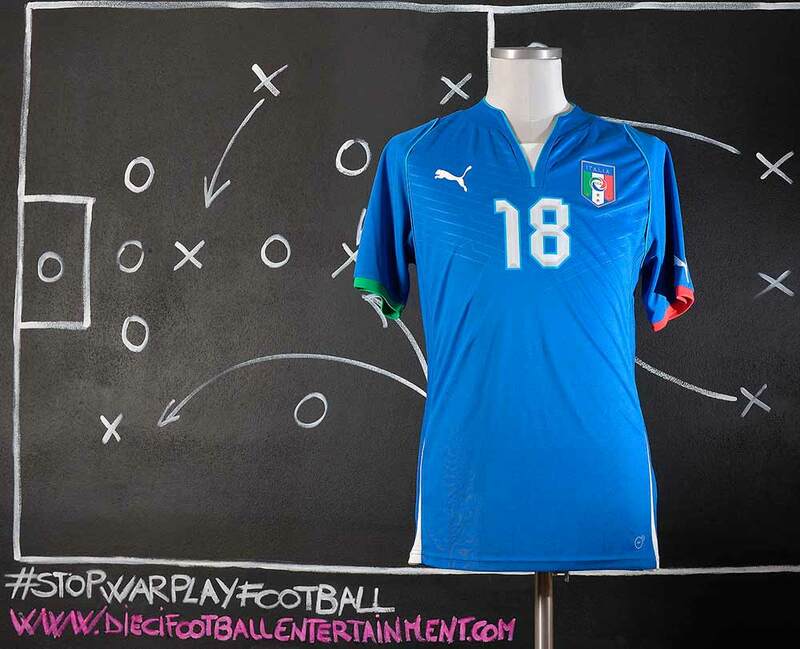 This style of shirt was made by Puma exclusively for the Fifa Confederation Cup 2013. 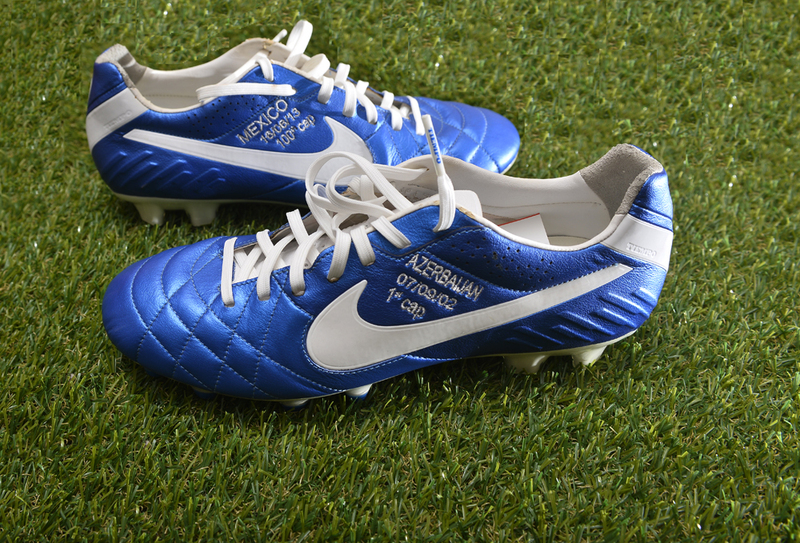 It was only used once before that competition, during a friendly game against Brazil that took place on March 21st 2013. Following the Confederation Cup it wasn’t used anymore. 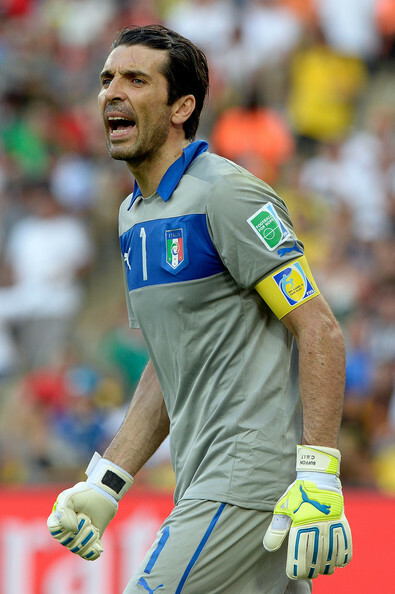 Buffon was included in the Italian squad for the 2013 Confederations Cup in Brazil and played in every match of the tournament as captain. 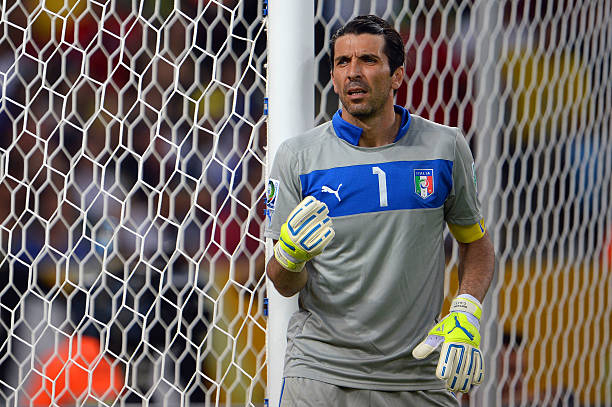 On 16 June 2013, he featured in Italy’s opening 2–1 win against Mexico, where he was beaten only by a Javier Hernández penalty. 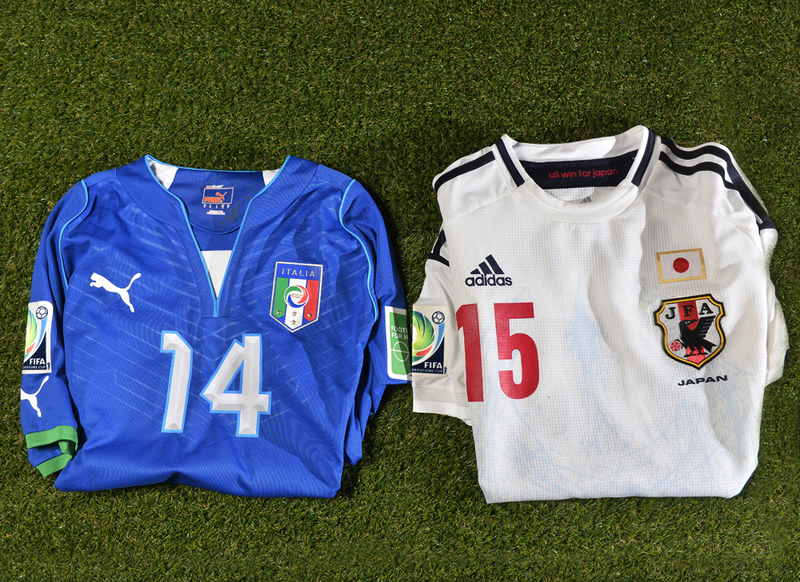 In the next game, on 19 June 2013 against Japan, the referee awarded Japan a penalty in the 20th minute of the first half when he declared that Shinji Okazaki had been brought down by Buffon after a misplaced back pass by Mattia De Sciglio; Buffon received a yellow card. 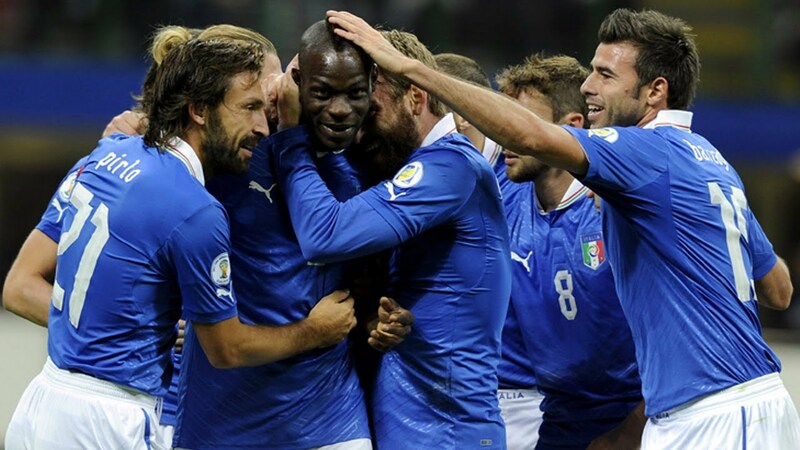 The squad’s eventual 4–3 win allowed Italy to progress to the semi-finals of the competition for the first time, where they were to face Spain in a rematch of the Euro 2012 final. After a 0–0 draw, they lost 7–6 in the resulting penalty shootout. 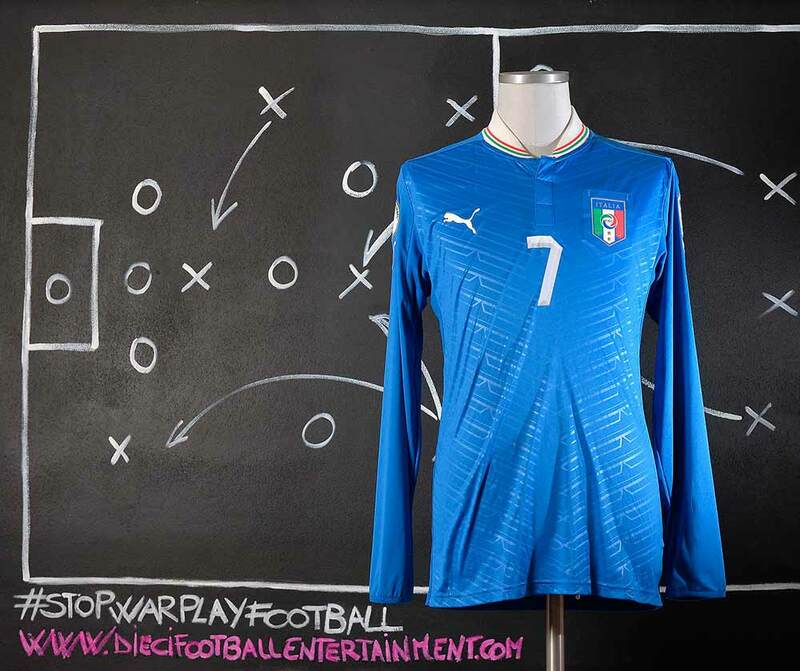 Although both Buffon and Spanish counterpart Iker Casillas had managed to keep a clean sheet throughout the match, neither goalkeeper was able to stop a penalty in the shootout; the lone miss, by Leonardo Bonucci, was hit over bar. 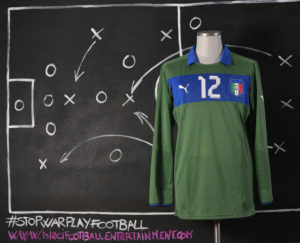 In the third-place match, Italy defeated Uruguay 3–2 in the penalty shootout after a 2–2 deadlock following extra time. 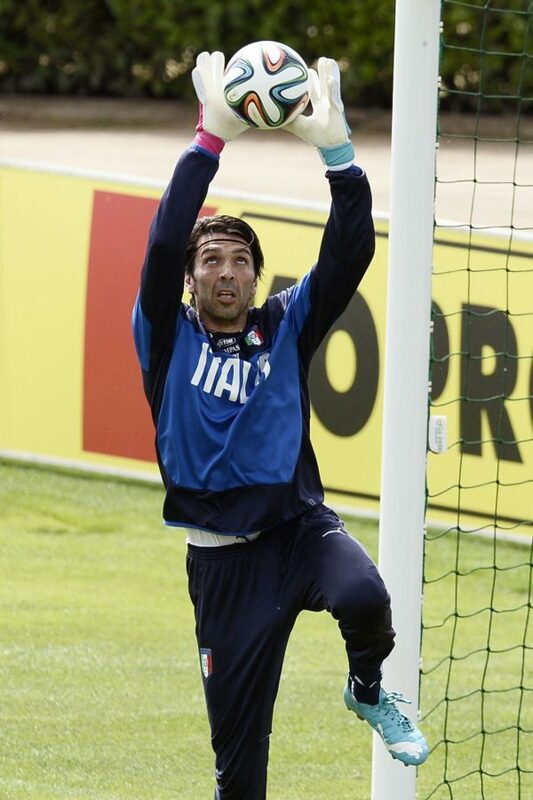 Buffon saved three penalties; those taken by Diego Forlán, Juventus teammate Martín Cáceres and Walter Gargano. The 2014 FIFA World Cup was the 20th FIFA World Cup, the quadrennial world championship for men’s national football teams organized by FIFA. It took place in Brazil from 12 June to 13 July 2014, after the country was awarded the hosting rights in 2007. It was the second time that Brazil staged the competition, the first being in 1950, and the fifth time that it was held in South America. Thirty-one national teams advanced through qualification competitions to join the host nation in the final tournament. A total of 64 matches were played in 12 venues located in as many host cities across Brazil. For the first time at a World Cup finals, match officials used goal-line technology, as well as vanishing foam for free kicks. FIFA Fan Fests in each host city gathered a total of 5 million people, and the country received 1 million visitors from 202 countries. Every World Cup-winning team since the first edition in 1930 – Argentina, Brazil, England, France, Germany, Italy, Spain and Uruguay – qualified for this tournament. Spain, the title holders, were eliminated at the group stage, along with England and Italy. 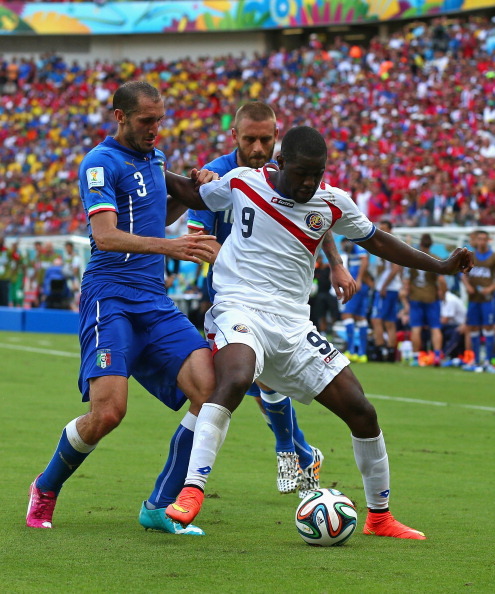 Uruguay were eliminated in the round of 16, and France exited in the quarter-finals. Host nation Brazil, who had won the 2013 FIFA Confederations Cup, lost to Germany 7–1 in the semi-finals and eventually finished in fourth place. In the final, Germany defeated Argentina 1–0 to win the tournament and secure the country’s fourth world title, the first after the German reunification in 1990, when as West Germany they also beat Argentina in the World Cup final. Germany became the first European team to win a World Cup staged in the Americas, and this result marked the first time that sides from the same continent had won three consecutive tournaments (following Italy in 2006 and Spain in 2010). 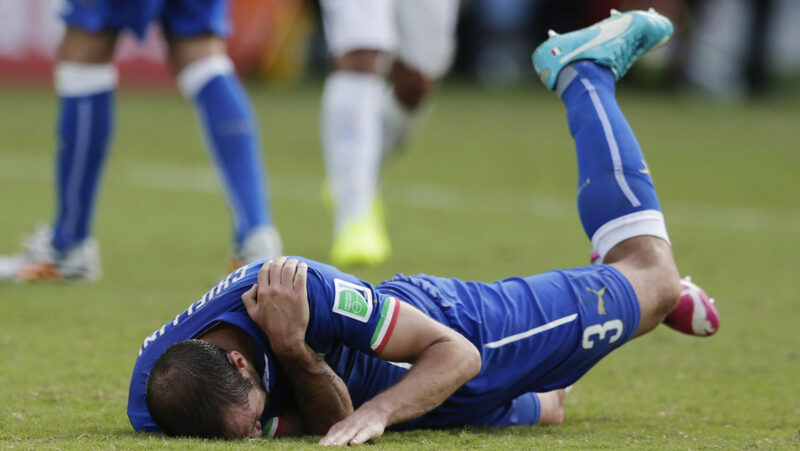 During the 2014 World Cup, in Italy’s final group stage game against Uruguay, replays appeared to show Luis Suárez biting Chiellini on the shoulder before Suárez fell and clutched his face, in Suárez’s third career biting incident. As the Italian players protested to the Mexican referee Marco Antonio Rodríguez for not penalizing Suárez, Uruguay won a corner and scored, winning 1–0 to qualify for the last 16 and eliminating Italy. As a result, the FIFA Disciplinary Committee launched an investigation into the incident. On 26 June, The FIFA Disciplinary Committee announced that Suárez would be suspended for nine matches and banned from any football activity (including entering any stadium) for four months. Suárez was also fined CHF100,000 (approx. £65,700/€82,000/US$119,000). 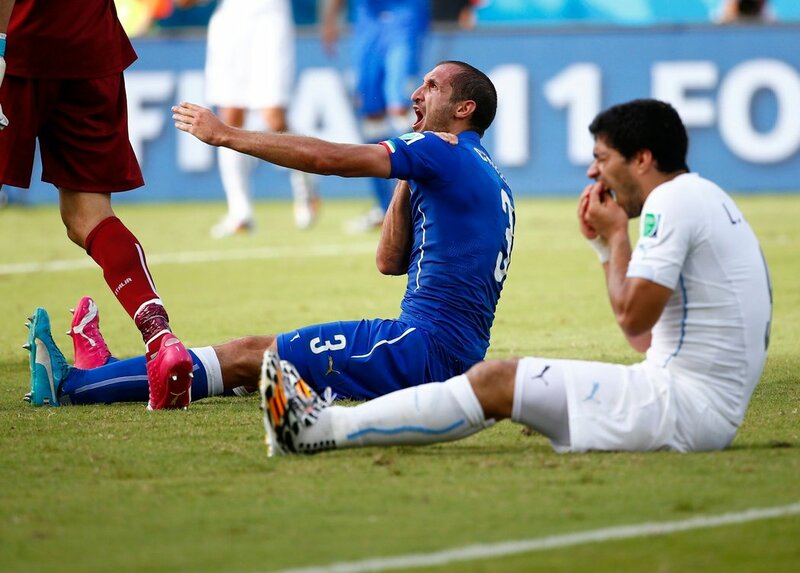 Even so, Chiellini expressed his view that the four-month ban for Suárez was “excessive”. 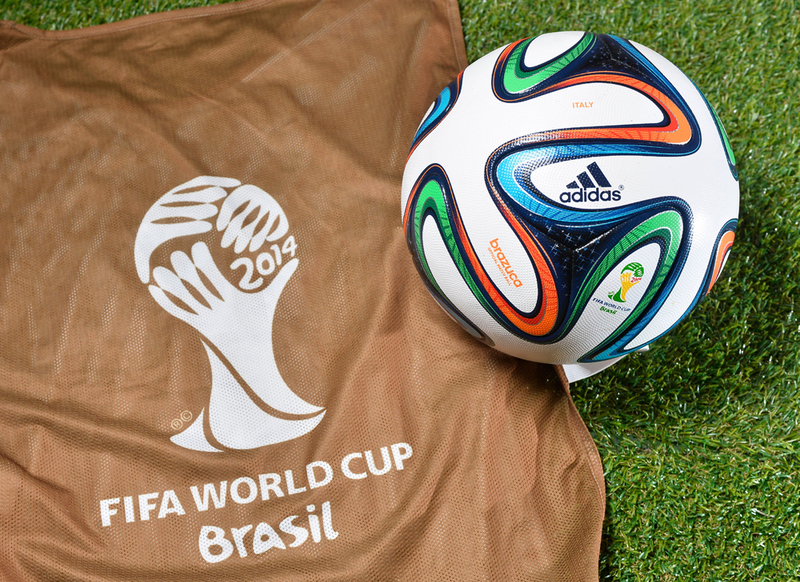 This ball was used by Italy Team for all of the official FIFA World Cup “Brasil 2014” training sessions and pre-game warm up. While the official balls used for the games had match details printed on them, training and warm up balls had team’s name printed on them. In this case “ITALY” printing marks Italy Team’s official balls. Quagliarella wears the number 27 in honour of Niccolò Galli, a former friend and youth academy teammate of his who used to wear this number; Galli died in a road accident in 2001. In February 2017, Quagliarella revealed in an interview with Mediaset that during his time at Napoli he and his family were threatened by a stalker over a period of five years, which eventually led to his departure from the club. Quagliarella played for the Italian youth sides, known as the Azzurrini, from the 2000–01 season up until the 2004–05 season. 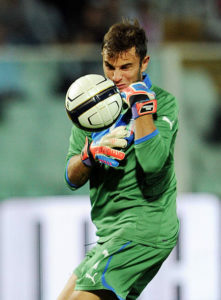 He made his debut for the Italy U17 team (equivalent to the current Italy U18 side) on 5 September 2000 against Slovakia. The following season, he was a member of the Italy U19 team during their 2002 UEFA European Under-19 Championship qualifying campaign. Following his impressive performances with Sampdoria in the 2006–07 season, Quagliarella was called up to the Italian senior squad, known as the Azzurri, for a friendly against Romania in February 2007. However, his senior international debut was delayed, as the match was cancelled as a result of fan riots in Serie A that weekend. 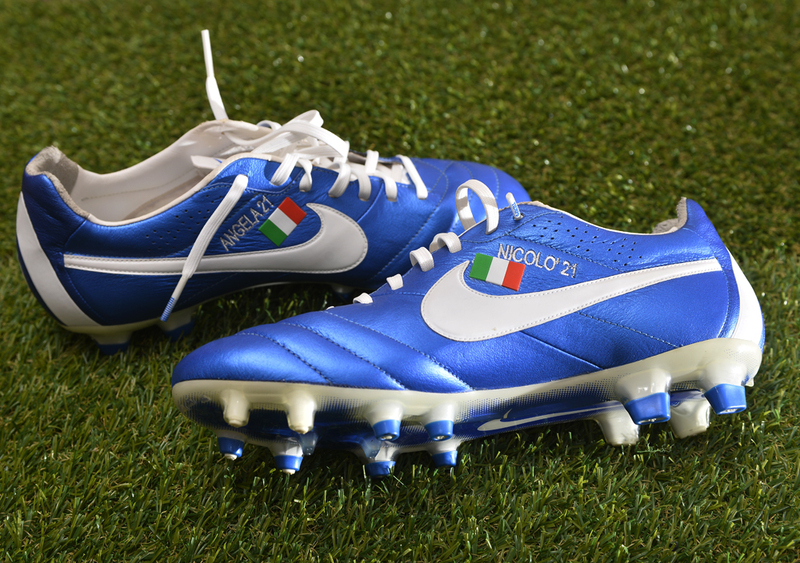 Quagliarella finally made his senior debut for Italy on 28 March 2007, in a Euro 2008 qualifier against Scotland in Bari, coming on as a substitute for Luca Toni in the final minutes of the 2–0 win. In Kaunas on 6 June 2007, he made his first start for Italy in a vital Euro 2008 qualifier against Lithuania, also scoring his first two goals for the national side in the eventual 2–0 win. 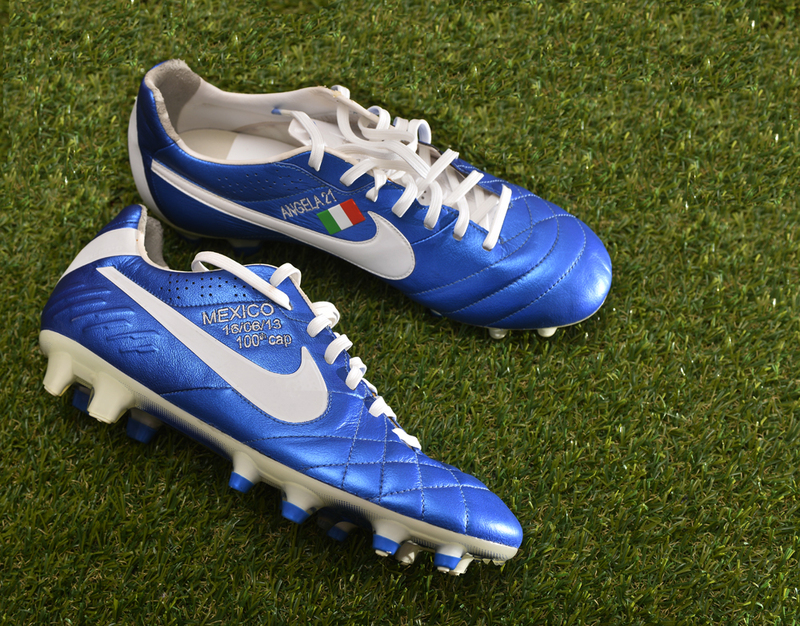 On 6 February 2008, he scored his third goal for Italy, and his nation’s third goal of the match, in their 3–1 triumph over Portugal in an international friendly in Zurich; this was also the 1200th goal scored by the Italian national side. Quagliarella was subsequently included in the Italian UEFA Euro 2008 squad by manager Roberto Donadoni; he made his only appearance of the tournament in Italy’s second group match, a 1–1 draw against Romania, coming on as a second half substitute for Alessandro Del Piero. 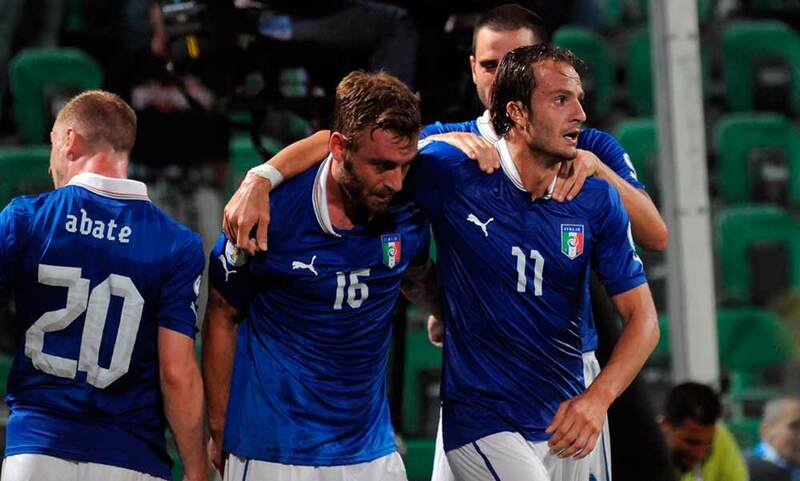 Italy then bowed out of the tournament on penalties to eventual champions Spain in the quarter-finals. Quagliarella was subsequently called up to Italy’s 23-man squad for the 2009 FIFA Confederations Cup in South Africa under returning manager Marcello Lippi; his only appearance throughout the tournament came in Italy’s second group match, a 1–0 defeat to Egypt. 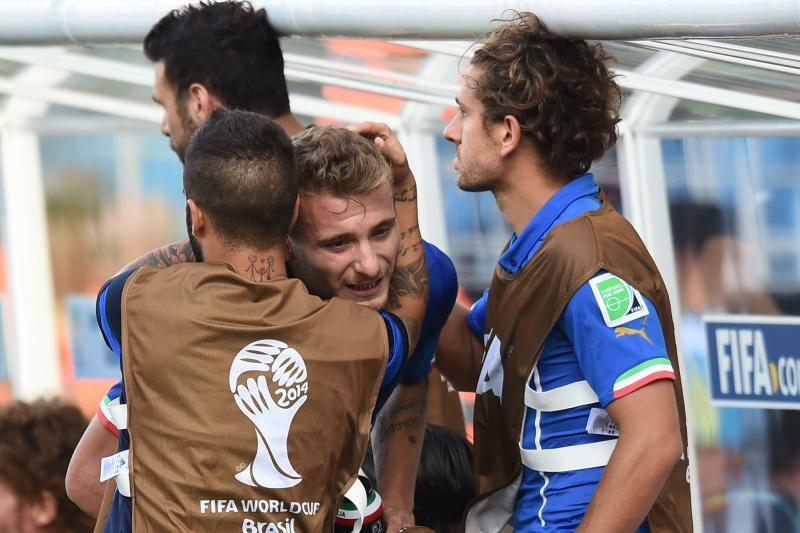 Italy were disappointingly eliminated from the tournament in the group stage following a 3–0 defeat to eventual champions Brazil in their final group match. Quagliarella was also included in the final 23-man Italian 2010 FIFA World Cup squad by coach Marcello Lippi; on 5 June 2010, he scored a header in a 1–1 away draw against Switzerland in Italy’s final friendly before the tournament. In Italy’s final match of Group F at the 2010 World Cup against Slovakia, Quagliarella came on at the beginning of the second half for Gennaro Gattuso, with Italy trailing 1–0, and in the space of 45 minutes, he contributed to teammate Antonio Di Natale’s goal, who scored from a rebound, and subsequently executed a beautiful 25-yard chip in injury time to bring the score to 3–2; furthermore, throughout the match, he also had a volley cleared off the line by Slovak defender Martin Škrtel, and had an equalising goal controversially ruled offside, although he was ultimately unable to prevent the Italians from losing 3–2, resulting in one of Italy’s most shocking World Cup eliminations. 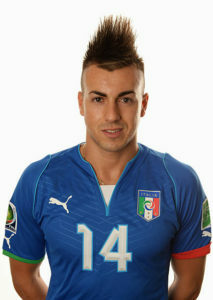 The match was his 21st cap for Italy, while his goal was his seventh overall. 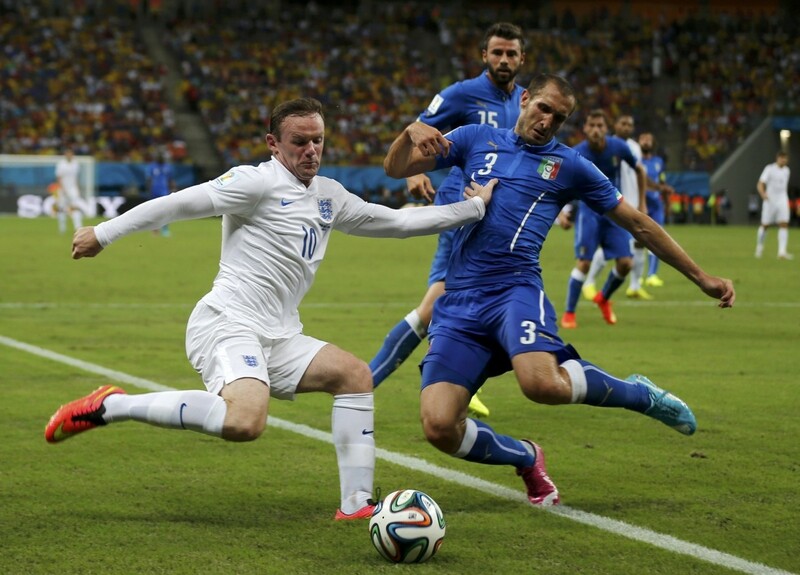 Although the Italian team was widely criticised in the media, Quagliarella was praised for his performance. 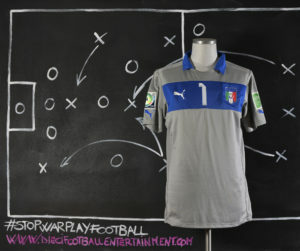 Under Italy’s new manager Cesare Prandelli, Quagliarella scored Italy’s fourth goal in a 5–0 home win in a Euro 2012 qualifying match against the Faroe Islands on 7 September 2010. He later also appeared in a friendly against Romania held in Klagenfurt on 17 November, scoring the equalising goal in the 1–1 draw; although some sources cite Italy’s goal as an own goal, the Italian Football Federation recognises the goal as Quagliarella’s. On 2 September 2014, Quagliarella was recalled to the national team for a friendly match against the Netherlands and UEFA Euro 2016 qualifying matches against Azerbaijan and Norway under new Italy manager Antonio Conte, although he did not appear during the matches. 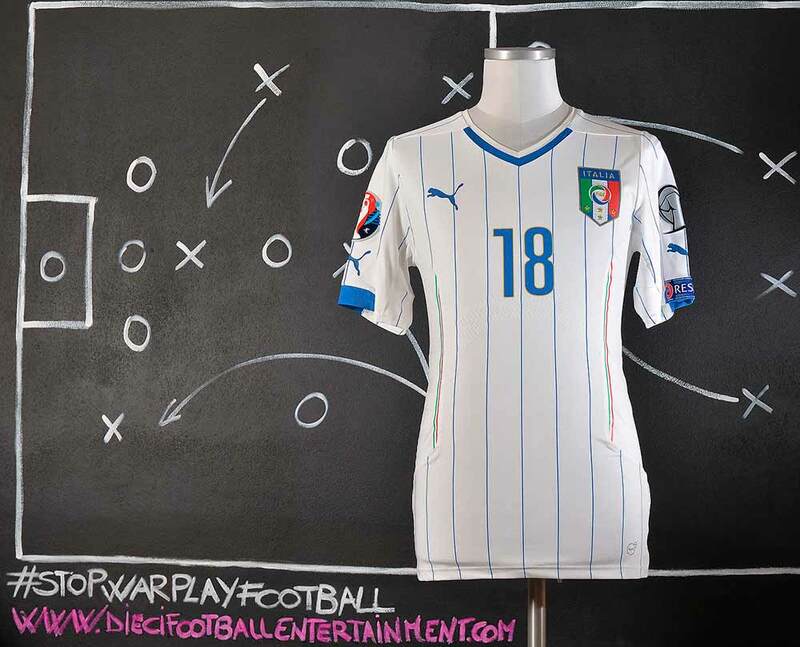 On 3 October 2015, Quagliarella earned his most recent call-up, once again for Italy’s Euro 2016 qualifying matches against Azerbaijan and Norway; once again, he did not appear during the matches. On 5 March 2014, he made his debut with the Italy under-21, in a Euro 2015 qualifying match against Northern Ireland. 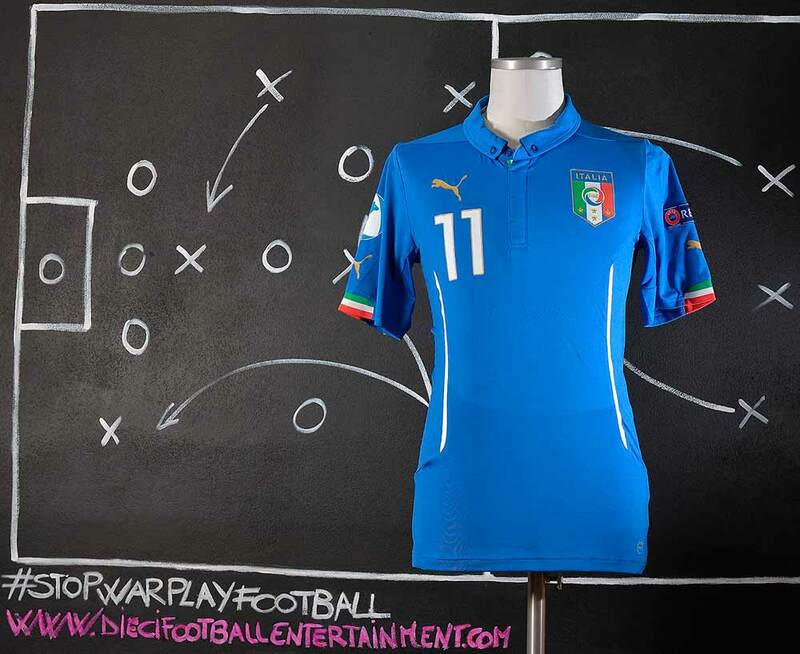 He took part at the 2015 UEFA European Under-21 Championship under manager Luigi Di Biagio. From 10 to 12 March 2014, he was called up to the senior national team by coach Cesare Prandelli as part of an internship to evaluate young players ahead of the 2014 FIFA World Cup, confirmed on the next meeting between 14 and 15 April. 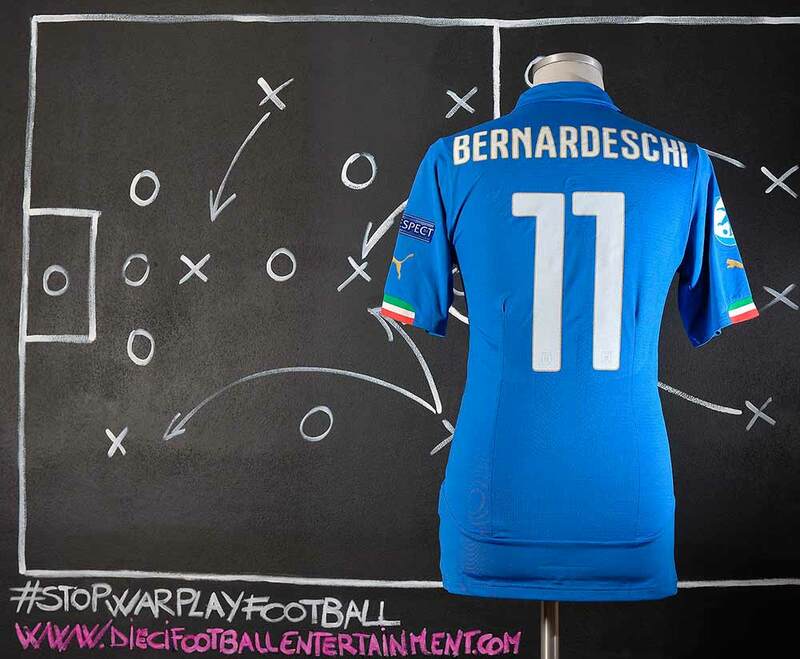 Bernardeschi received his first call up to the Italy senior squad by manager Antonio Conte in March 2016 for friendlies against Spain and Germany. He made his international debut for Italy on 24 March, coming on as a substitute in a 1–1 home draw against Spain, and was involved in Lorenzo Insigne’s goal. 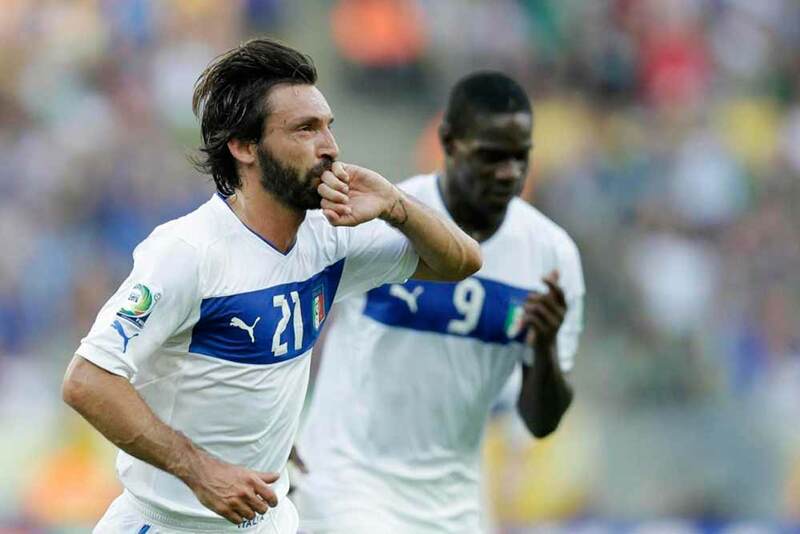 On 31 May 2016, he was named to Conte’s 23-man Italy squad for UEFA Euro 2016. 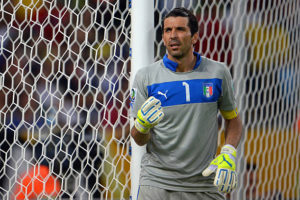 He made his only appearance of the tournament on 22 June, in Italy’s final group match, which ended in a 1–0 defeat to Ireland. He scored his first senior international goal on 11 June 2017, in a 5–0 home win over Liechtenstein in a 2018 World Cup qualifier. In June 2017, he was included in the Italy under-21 squad for the 2017 UEFA European Under-21 Championship by manager Di Biagio.